Ailsa of Where’s My Backpack invites bloggers to post travel photos each week. This time she’s given us “Meeting Places” for a theme. 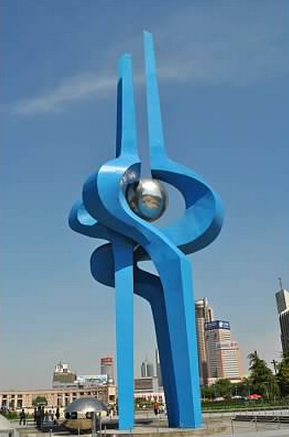 One of the conspicuous sites to meet in Jinan is Quancheng Square, by the big blue sculpture.